Making any adoption decision can be difficult but the process involved with adopting doesn’t have to be. Adoption Covenant is a licensed, full service adoption agency. Our goal is to provide support to women facing unplanned pregnancy and place children with loving families while simplifying and reducing the expense and heartache commonly involved with the process. 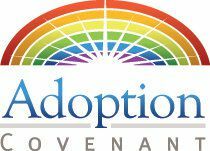 Adoption Covenant is licensed child placing agency. We provide services nationwide and homestudies in Texas. We provide services to those facing unplanned pregnancy, hoping for a better life for their children. We work with singles and couples looking to build their families through the miracle of adoption. Adoption is a miracle and children who are adopted are loved. Making an adoption plan means you are choosing a life for your child complete with all the hugs, laughter and love that you want for him or her. This time can be scary, and we at Adoption Covenant want you to know you are not alone. My wife and I love everything y'all do for Gods Angels, hopefully one day we will adopt another son! !